The Trap Went up in Revelstoke Yesterday! 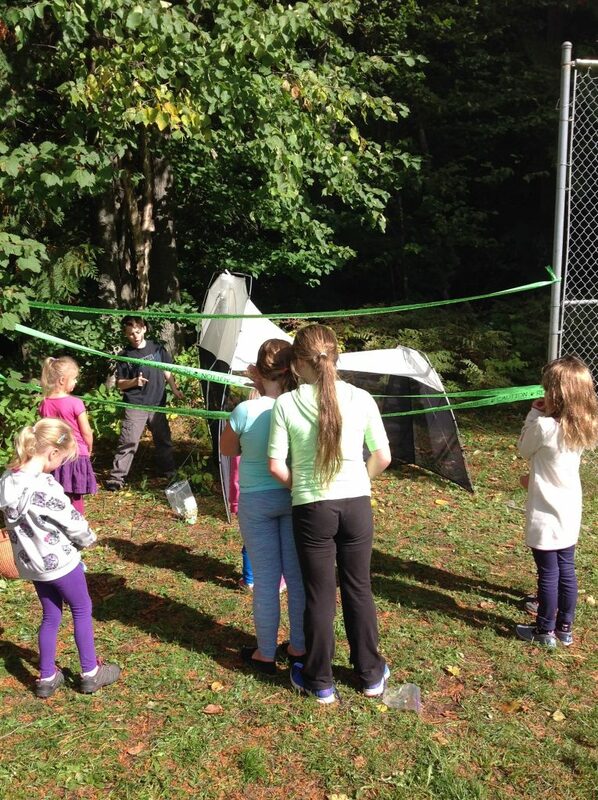 Ms. Harrison’s Grade 4 class put up the trap at 9am yesterday! It was a cool 8 degrees and dewey. At recess and lunch, Austin and Grace explained the trap to the students who came to check it out. As they explained the trap, they gave out the bookmarks. Students were interested to know that all those coloured lines were the DNA barcode for insects! Six bugs had found their way in by lunchtime, even though we were all gathered around the trap. We had a blustery start today with winds of about 30 km/h gusting up to 40 km/h. It was a cool 13 C and we were under thick cloud cover until after school let out. The Malaise Trap held strong all day and did not require any adjustments during the afternoon check-in It looks like we already have about half a dozen species of insects in the trap! Crestview is ready to go! We could say it all started on Friday with the set up….but really we have been chomping at the bit since Monday. So excited to be part of this great program and eagerly awaiting to be contributors of data! We are an enthusiastic bunch of Grade 6 students from Crestview Public School in Kitchener. For the rest of Canada, we are about an hour west of Toronto. Our school is surrounded by Ash, Maple and Walnut trees which is pretty typical for this area, and at the moment we are enjoying the last “hurrah” of summer with temperatures in the mid to high 20’s everyday. We decided on a somewhat secluded spot at the back of the Kindergarten play area. 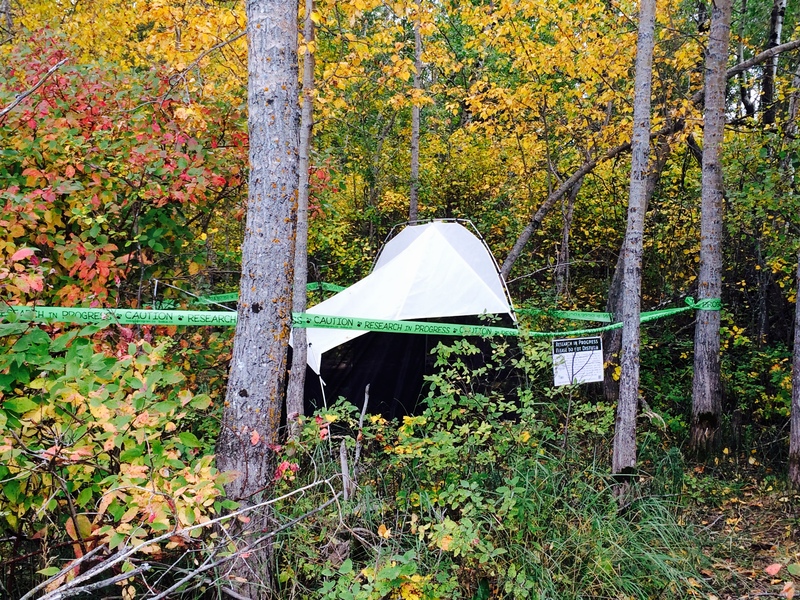 We had to adjust the caution tape to be lower so that the little Kindies would not crawl under to sneak a peak. Our tent is surrounded by trees and bushes and by the looks of it LOTS of flying insects! Glad to part of this awesome team. We are enjoying reading the other posts and looking where all the other teams are from. On Friday, September 18th, we ventured up to Annie Laurie Lake and we found a perfect spot to set up our Malaise Trap (minus the collection bottle). We couldn’t resist the opportunity for a class selfie! What species of Class Insecta are present in Preeceville (Annie Laurie Lake)? What is the representation of species (i.e. order, family) found in Preeceville (Annie Laurie Lake)? Are there species which are indigenous to our area and not found at any of the other collections sites? What information will DNA barcoding reveal about genetic relationships among the species found in our area? On Monday morning, Miss Paterson will be placing the collection bottle on the Malaise Trap and she will check it through the week (although we are all probably going to be stopping by at some point to take a peek). We are excited to see what we catch! 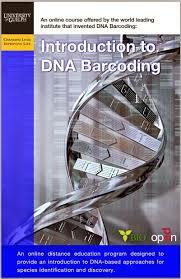 Do want to learn more about DNA Barcoding? gaining an understanding of DNA-based species identification and discovery? reviewing the historical framework for species identification and learning why DNA barcoding presents an advance in the identification of existing species and discovery of new species? exploring barcode workflows and applications in food safety, pest and health management, bio-surveillance, habitat monitoring, ecology, and conservation biology and evolution? 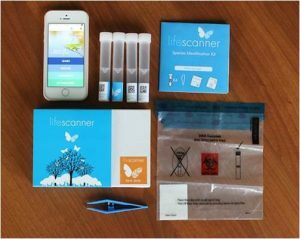 finding out how DNA barcoding can be turned into relevant classroom experience for your students? BIO and the University of Guelph offer an 8-week online Introduction to DNA Barcoding distance education program. This international course brings together researchers, educators, government regulatory staff, graduate students, forensic staff, lab technicians, and museum collection staff to teach skills in DNA Barcoding and species identification and discovery. Sign up and be part of a truly international learning experience that requires around 4-6h/week of your time. Course Dates: June 1 to July 24, 2015. Registration is open until June 5. @ Jack Chambers: What We Thought! Fall 2014 SMTP Results Have Been Issued! 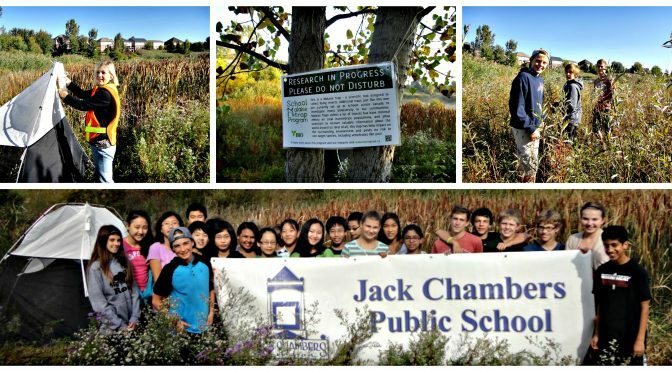 The results are in for the Fall 2014 School Malaise Trap Program and they are truly remarkable! 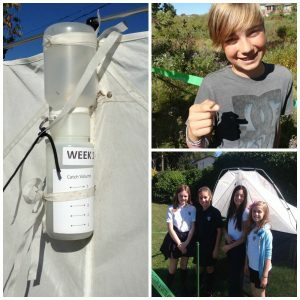 This Fall marked the first nationwide offering of the program, with students from across Canada exploring the biodiversity in their schoolyards and discovering how we can use DNA barcoding to inventory life on our planet. In all, 2,479 students from 92 classrooms, 59 schools, 46 cities, and 6 provinces and territories participated in the program. 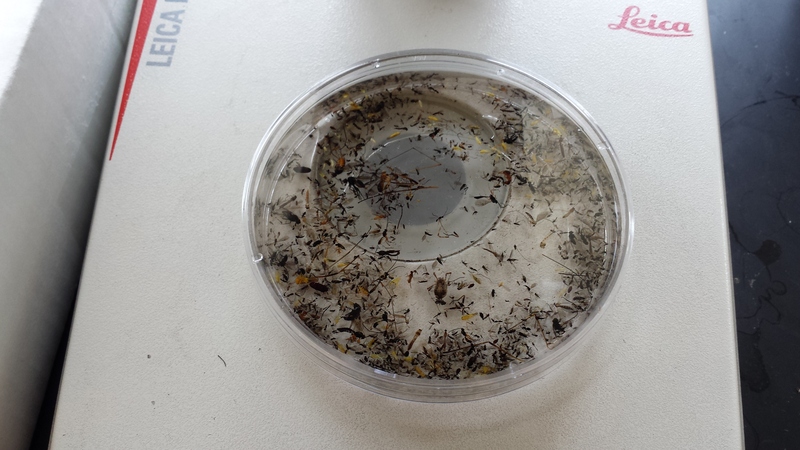 The 59 Malaise traps collected specimens from September 22 to October 3. The 59 traps on average collected 1,034 specimens for the collecting period. Our staff sorted 61,052 specimens and 13,846 of these primarily insect specimens were barcoded. The DNA barcodes allowed us to determine that 3,402 species were collected over the two week period of the program, more than twice as many as any of our previous School Malaise Trap Programs! We are excited to report that 324 of these species were brand new to our DNA barcode library (BOLD), representing a significant contribution to the International Barcode of Life project. To view the full results of the program, including an overall detailed program report, full species list, and full image library, please click here. You can also access our “winners” ranking sheets here. Not only were your collection numbers astounding, your species discoveries were even more exciting! Over the next few weeks the SMTP team will be highlighting your discoveries through our blog posts and we hope that you will do the same! First off, let’s get a sense of what you collected in your Malaise trap. Most of the 3,402 species that you collected were arthropods — invertebrates with a hard external skeleton. If you look at the pie chart below, you’ll notice that many (36%) of the species were flies (scientific name: Diptera). Some groups of flies were particularly diverse; there were 285 species of midges (Chironomidae), 116 species of fungus gnats (Sciaridae), and 95 species of scuttle flies (Phoridae). In addition, just like Fall 2013 and Spring 2014 programs, the most abundant species was a midge. After flies, the next most species diverse group was bees, wasps, and ants (Hymenoptera), followed by the true bugs (Hemiptera). Most of the species in these groups have wings, so it’s not surprising that they were collected in your Malaise traps. However, you also collected some groups that don’t fly such as springtails (Collembola), spiders (Araneae), and snails (Stylommatophora). Stay tuned for our Fall 2014 interesting species discoveries! 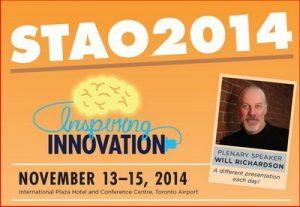 BIO is heading to STAO: Join Us In Inspiring Innovation! Each year, the Science Teacher’s Association of Ontario hosts an interactive and educational three day STEM conference in Toronto for elementary and secondary teachers from across Ontario. 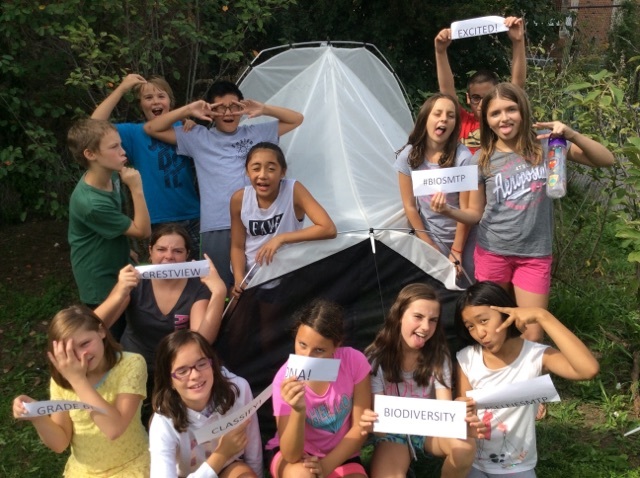 This year, the Biodiversity Institute of Ontario’s (BIO) Education & Outreach Team will be in attendance and will be presenting two workshops regarding the School Malaise Trap Program (Friday, Nov. 14th, 3:45-4:45pm – Session #2510) and DNA Barcoding applications for the classroom (Thursday, Nov. 13th, 8:30 – 9:30am – Session #1013). We are extremely excited to be able to participate and contribute to such a passionate community of STEM educators! This year’s STAO conference theme is “inspiring innovation” and was chosen in order to “help science educators in Ontario better understand the significance of STEM education and how it can prepare students for a rapidly changing global world.” We could not have said it better ourselves, as we too have a deep connection to these values! DNA Barcoding , a genetic technique used to identify species, is a relatively new addition to the Ontario curriculum. Its applications are far reaching, and astounding initiatives have been created through utilizing this technology – most notably, the International Barcode of Life project (iBOL). This project is the largest biodiversity genomics initiative ever undertaken and aims to create a barcode reference library (BOLD) of all the species found on earth. Feeling inspired and innovative yet? We thought so! The best part about the International Barcode of Life project is that anyone can contribute to it, as well as access the data (found online at BOLD). 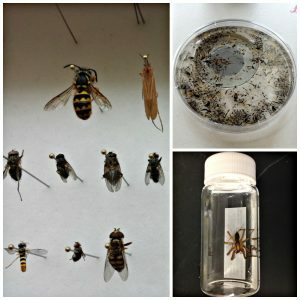 Classroom projects and programs ranging from DIY lab studies, participating in the School Malaise Trap Program, and submitting a LifeScanner kit for analysis are some of the many ways that students can contribute valuable data to iBOL! 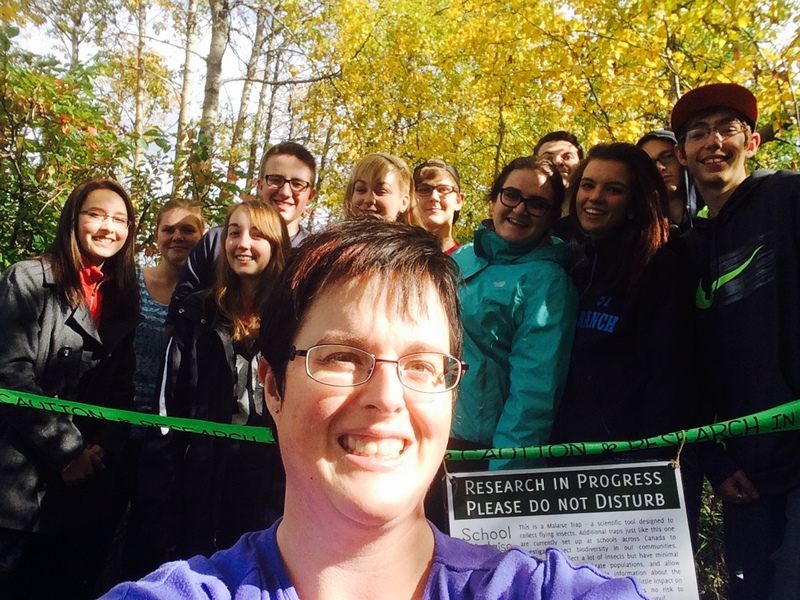 Through these innovative citizen science initiatives, BIO hopes to inspire students to contribute to, and prepare for, a bioliterate future. Although we live in a fast-paced and rapidly changing world, DNA barcoding is a key piece of technology that will help us to slow down and truly assess, protect, and monitor all levels of biodiversity found around us. So far, our Collections team here at BIO has provided you with amazing first-hand accounts of what happens to your specimens once they arrive at our facilities to be DNA barcoded. During this blog post, we are going to show you what our facilities and the DNA barcoding process looks like. Below, you will find an educational video which explains the first steps towards ultimately obtaining a DNA barcode – sorting and imaging your specimen. Stay tuned for our next video which will showcase our lab and sequencing processes! Samples are Arriving at BIO! 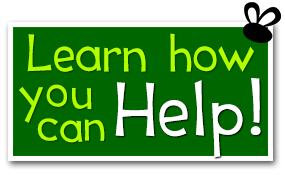 Hello School Malaise Trap Program Participants! We are happy to say that we have received almost all of your Malaise trap samples for the Fall 2014 program! The rest of the samples are on their way, and we can’t wait to see what you have all collected. 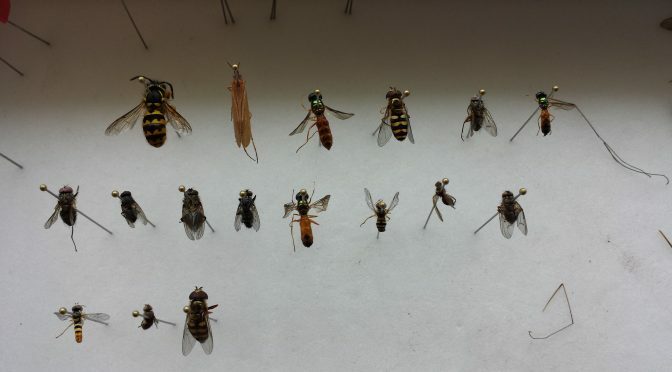 Once your samples arrive at BIO, they go straight to our Collections unit, where they will be sorted by insect Order. As you can see from the photo below, this can be quite a long and meticulous process. Stay tuned for an update from our Collections unit soon!